Low Carb Diet News - Tag Archive for "LCHF"
…This [obesity] is a public health crisis that you might think would give us an all-hands-on-deck attitude. After all, if this were an infectious disease — a big collection of fat worms or something — it’s doubtful we’d keep recommending the same feeble treatment for decades and then blame the victims for not complying. No. We’d be scared. Scared for ourselves and our kids and our country. We might even be frightened enough to reconsider our entire dietary approach. But the new obesity guidelines don’t address the low-fat/low-carb debate. Instead, they say there’s no good evidence to recommend any particular diet. (They say they reviewed 17 diets.) Yet, last month the Swedish obesity guidelines also came out, and after a review of 16,000 studies the Swedish committee endorsed LCHF diets as the most effective way to combat weight gain. Our committee must have access to the same research the Swedes reviewed—so why there’s such a discrepancy is anybody’s guess. But some believe that our committee is under pressure to not reverse 30 years of AHA low-fat doctrine—even if it’s causing an epidemic. Instead, the committee took the almost comical stance of implicating practicing physicians in the obesity crisis. As the co-chair of the committee Donna Ryan, MD, explained, “primary care physicians have not been trained in obesity etiology or pathogenesis much less in its diagnosis and treatment”. Not only is this statement somewhat laughable—last I checked, most doctors knew how to use scales — but it’s also off mark. Previous guidelines have urged doctors not to spend time on diet and lifestyle recommendations as they’re not terribly fruitful. 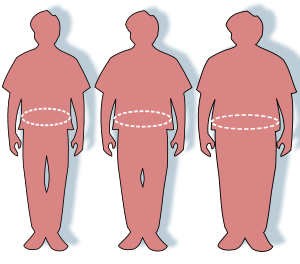 Nevertheless, ignoring the guidelines, some doctors have found very effective ways to achieve long lasting weight loss using Atkins-type LCHF diets. And at this point good evidence is building up in their corner: LCHF diets lower blood sugar, insulin and triglycerides and raise good (HDL) cholesterol. But a raft of studies now shows that saturated fat does not increase your likelihood of vascular or heart disease. And after many years, the results from the Women’s Health Initiative showed that women who ate higher levels of saturated fat actually had no increased risk of obesity or heart disease. What’s more, some doctors advocating high fat diets have shown individual reports of reversal of atherosclerosis. This is not to say that LCHF diets will suit everyone. Obviously, many people thrive on low fat diets. But while it’s pretty much universally acknowledged that we’re “supposed” to eat low fat diets, most Americans are overweight or obese. So it seems like low-fat diets are a prescription that most people can’t follow or won’t follow or follow and find that it just doesn’t work. Butter, olive oil, heavy cream and bacon are not harmful foods. Quite the opposite. Fat is the best thing for those who want to lose weight. And there are no connections between a high fat intake and cardiovascular disease. The expert committee consisted of ten physicians, and several of them were skeptics to low-carbohydrate diets at the beginning of the investigation. One of them, however, who’s been an avid proponent of saturated fat (butter, full fat cream, bacon) since 2006, is Prof. Fredrik Nyström, Linköping, Sweden, and who has at times been scorned and sneered at to the same extent as LCHF’s “mother”, Dr. Annika Dahlqvist. For Fredrik Nyström the report represents a victory. - Absolutely. I’ve been working with this for so long. It feels great to have this scientific report, and that the skepticism towards low-carb diets among my colleagues has disappeared during the course of the work. When all recent scientific studies are lined up the result is indisputable: our deep-seated fear of fat is completely unfounded. You don’t get fat from fatty foods, just as you don’t get atherosclerosis from calcium or turn green from green vegetables. Nyström has long advocated a greatly reduced intake of carbohydrate-rich foods high in sugar and starch, in order to achieve healthy levels of insulin, blood lipids and the good cholesterol. This means doing away with sugar, potatoes, pasta, rice, wheat flour, bread, and embracing olive oil, nuts, butter, full fat cream, oily fish and fattier meat cuts. - If you eat potatoes you might as well eat candy. Potatoes contain glucose units in a chain, which is converted to sugar in the GI tract. Such a diet causes blood sugar, and then the hormone insulin, to skyrocket. Moreover, this summer another study on the Mediterranean diet, rich in unsaturated fats (olive oil, avocados, nuts), was published, and was part of the basis for the SBU report. 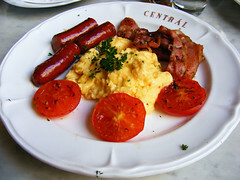 - It showed that it does more harm to eat a low-fat diet than a high-fat diet. The study also advised drinking wine with the Mediterranean diet. I have long emphasized that a moderate intake of alcohol is beneficial to health and have myself done a study that confirmed a better blood lipid profile from red wine consumption. Thus, alcohol in moderation is not just OK, it’s beneficial. - Of course these are not true. This kind of nonsense has people with weight problems feeling bad about themselves. As if it were all about their inferior character. For many people a greater intake of fat means that you’ll feel satiated, stay so longer, and have less of a need to eat every five minutes. On the other hand, you won’t feel satiated after drinking a Coke, or after eating almost fat free, low-fat fruit yogurt loaded with sugar. Sure, exercise is great in many ways, but what really affects weight is diet.